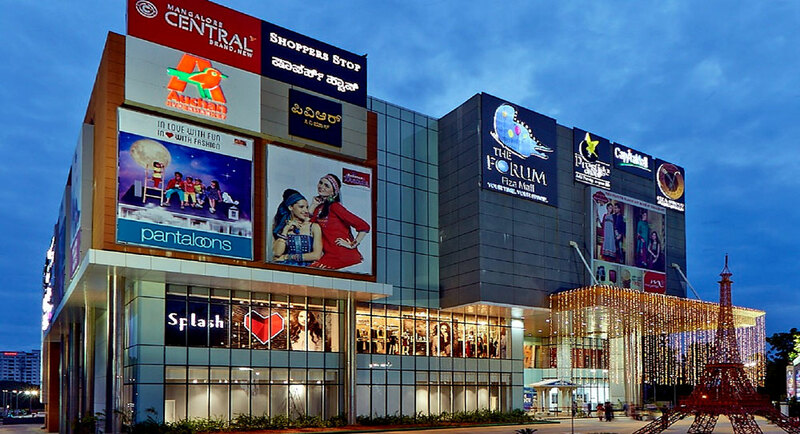 There is so much talk of the death of brick-and-mortar retail as a consequence of the aggressive advent of e-commerce into the country, when the fact is that shopping malls have just got started in India - and they are definitely here to stay. As developers learn through trial and error and come up with more winning formulas for their malls, and as a retailers get more into omnichannel selling, we will see the Great Indian Mall revolution spin into its next cycle of evolution. Unlike 'couch potato' e-commerce shopping, malls offer an experience... a touch-and-feel benefit which online shopping cannot. Also, going to a mall becomes an outing for the family and friends, often coupled with a meal at the food court and a movie at the cineplex. All this in air-conditioned comfort, escalators and lifts connecting everything to the parking below, and scrupulously cleaned sanitary facilities at all levels. The massive Indian middle class loves this experience and online retail is unlikely to put malls in the shade in India anytime soon. This is not to say that e-commerce has not had an impact. Definitely, Indians who know how to navigate the online world (and they are quite a lot - about 300 million Indians use the Internet today) may not go to a mall if they need just a few things and for which they can wait a few days. The commute to and from a mall is an important factor considering that going to the car park and waiting for your turn to take the elevator is a daunting task, and it is definitely not worth it just for picking up a handful of non-critical items. However, Indians are also quite open to deferring smaller purchases for the weekends, when they can couple the shopping with other activities which a mall can offer. No doubt, online shopping portals offer more variety and deeper discounts. However, it is generally known that the deep discount ethos will eventually go the way of the dinosaur. These portals have been investing heavily into garnering a loyal customer base, and margins have been thin at best. In the end, it is evident that both online shopping and physical retail will continue to coexist in India, without impacting each other too much. In the West, online retail has proved to be a major disruptor for physical retail - especially given the fact that there is no dearth of things for families to do on weekends. As a result, visiting a mall ranks much lower on the general population's priority list. In India, our cities have developed haphazardly, open spaces are vanishing and public transport is often shaky and unreliable. In such a scenario, a visit to a clean, visually vibrant and centrally air-conditioned mall is a major attraction. 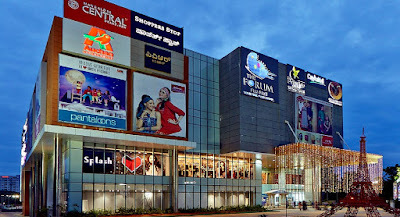 Cities that have seen maximum malls include Gurgaon, Noida, Greater Noida and Delhi in NCR, Mumbai, Chennai, Bengaluru and Pune. Over the next 5 years, nearly 85 malls are expected to come up in India, and more than 30 new malls accounting for nearly 14 million sq. ft. area are expected to open just in the top eight cities by 2020. Low vacancy levels and high rentals in Tier I cities are now also paving the way for retail expansion in tier II cities like Lucknow, Coimbatore, Chandigarh, Mangalore and Ahmedabad, to name a few. In fact, sensing immense opportunities and easy penetration into the Indian retail diaspora, overseas retailers are now expanding not just in metros but even tier 2 cities namely Ahmedabad, Chandigarh, Lucknow and Jaipur. This has led to mushrooming of malls all across the country. We are definitely NOT looking at a deathbed scenario here - as a matter of fact, just the opposite. However, like every other real estate vertical in India, retail has also had to evolve with the times in order to retain its allure. It has become increasingly evident that no mall in India today can depend solely on shopping as its prime source of revenue-generation and footfalls. Developers have understood that they need to transform their malls into community spaces to stay relevant to today's far more discerning customers. Besides seeking a holistic shopping experience, consumers want to be comfortable and have something that inspires them to stay longer and, more essentially, persuades them to return. This has led to a constant effort by Indian mall operators to provide the required specialized experience. Thus, most malls are striving to become prominent ‘shoppertainment’ locations. Today’s top-performing shopping malls are mixed-use businesses that incorporate social entertainment options, provide unique appeal along with certain depth in the shopping experience, and are in prime locations that are easily accessible by both public and private transport. Since large malls are better able to incorporate all the features required for successful operations, they tend to do better than the smaller ones. For instance, the footfalls in Total Mall at Sarjapur Road in Bangalore are far less than Phoenix Market City in Whitefield area. The latter is much larger and provides a complete ‘experience’ including shopping, entertainment, restaurants, movies etc. In contrast, the former is a smaller mall with just a few retail outlets and minimum entertainment facilities. Reinvented Malls - What Lies Beneath? Despite the incessant consumer appetite for malls in India, many malls did not work out. This can happen for a variety of reasons – the wrong location lacking public transport access, insufficient or unscientific parking arrangements, lack of research for what kind of retailers will work in a given micro-market (leading to an unsuitable tenant mix), lack of a food court, etc. Strata-ownership of shops was also a major issue in many of the failed malls, as this invariably meant that the mall did not have the benefit of centrally paid-for professional mall management services. This results in the poor upkeep of facilities, no promotional activities to drive footfalls, and no professional advisory services on how the mall should be tenanted - or, if necessary, reinvented. In fact, many malls that have failed to perform as per expectations over the years have either been converted into commercial office spaces or even been developed into residential buildings. Some classic examples include Ansal Plaza in Delhi which has been converted into more of a commercial complex, while Jewel Square, Kakade Centre Port and East Court in Pune have also been converted into office spaces. Malls such as Nirmal Lifestyles, Mumbai are being 'reborn' as residential buildings. It is more than evident that the Indian retail industry has been on a steep unlearning/learning curve. This process is by no means complete, and in fact will never be complete. The retail scene in India, as well as the rest of the world, is changing far too rapidly for players to become complacent. What works today may not work five years from now. In other words, the process of evolution for the retail industry is a constant work-in-progress - and yes, there will always be winners and losers. However, given the rapid pace of adaptation we are seeing today, it is more than likely that ten years from now, there will be far more winners than losers. Shopping malls are simply to cost-intensive to warrant adventurous experimentation and risk-taking. At any given time, only the tried-and-tested models will actually work.